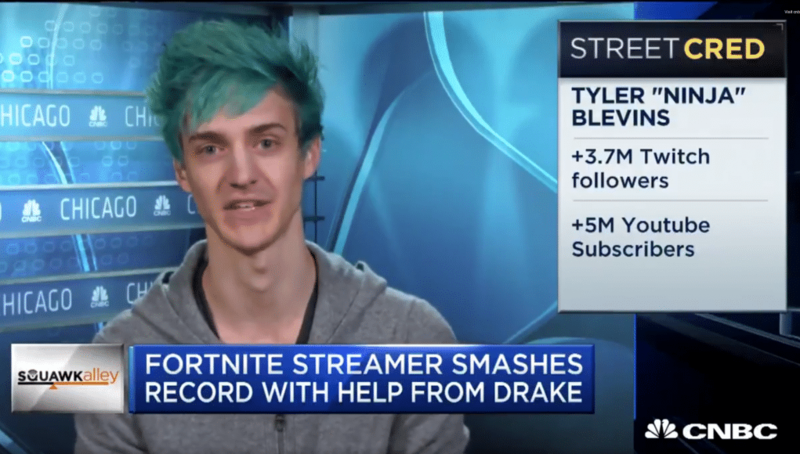 Recently featured live on CNBC, Tyler ‘Ninja‘ Blevins has revealed that he is making upwards of $500,000 per month playing video games through live streaming on Twitch. Covered in the video below, Ninja goes over how a large percentage of his income is driven through Twitch subscribers (including Twitch Prime members’ subscriptions), but other social media including YouTube and Instagram also contribute. He is now the most subscribed channel on Twitch, and slowly gaining on over 1 million followers across Twitter and Instagram. He believes he has Fortnite Battle Royale to thank for the recent influx in viewers, stating that the Fortnite skin promotion through Twitch Prime has brought a large number of new subscribers to his channel.